Posted by: 23rd Lancaster (Christ Church) Scout Group on: 30 November 2017. 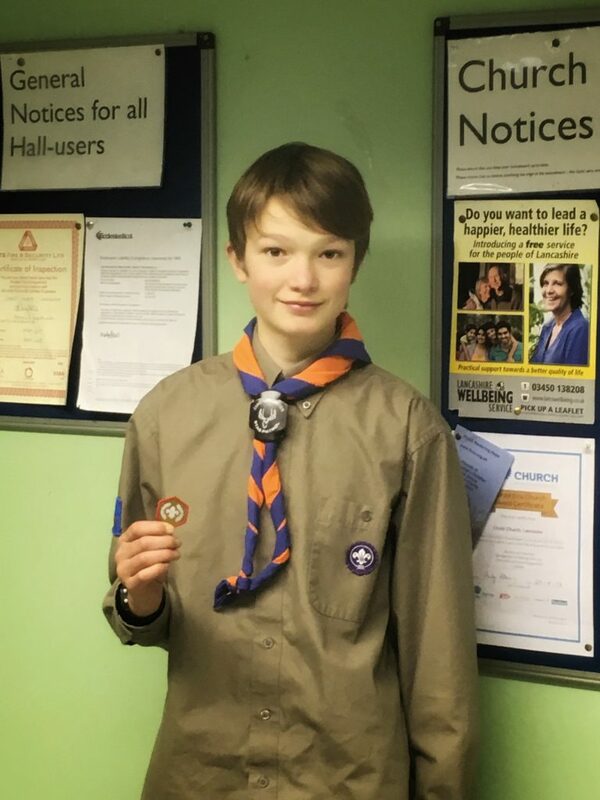 All of us at 23rd would like to congratulate James for being the first member of our group to earn the Chief Scout’s Gold Award since we reopened the Scouts section in 2008. James is now volunteering as a Young Leader with the Beavers.